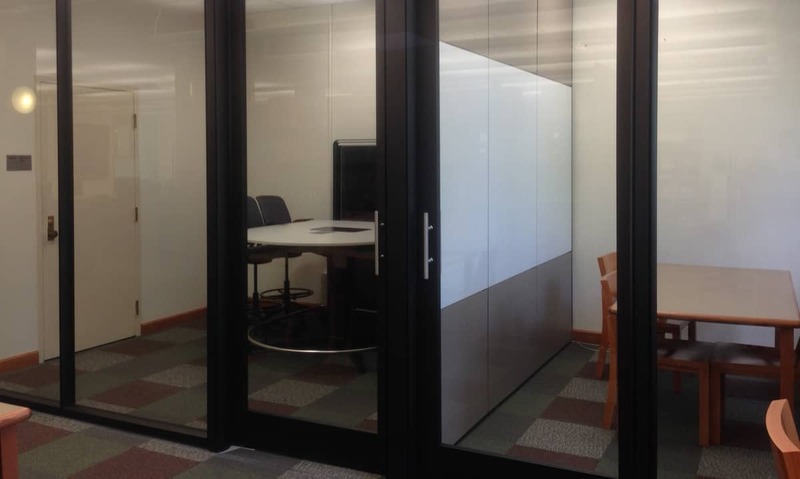 The Lichtenberger Engineering Library has 2 group study rooms available for reservation. Media:Scape System: Large Television allowing for up to 6 laptops to be connected at a time for easy collaboration. Click New in the upper left corner of the page. Enter meeting information – meeting title in the Add a title for the event field and names in the People field. Set time and date for which you wish to reserve the room (make sure to include length of meeting). Please be sure that your time zone is set to (UTC -06:00) Central Time (US & Canada). Make sure the Mark as Private radio box is not marked. Confirm the attendee list, start time and length and the chosen room are correct. Then select Send and wait for room verification via email. Please check verification email to ensure reservation has been accepted. All recurring reservations will be declined. Reservation will be declined if it conflicts with another reservation. Reservation will be declined if it does not meet reservation policies. Group spaces in the Lichtenberger Engineering Library may be reserved by sign-up posted by each room. Use of the group spaces is governed by the 2-2-2 rules. Two or more students are required to be present for group space use. Priority will be given to groups over individuals. Unattended items left in the room will be removed from the room and reservations will be cancelled. Reservations may last up to two hours. Consecutive reservations will not be permitted. Groups have 10 minutes after the start of their reservation to arrive. If a group has not claimed their study space by that time their reservation will be cancelled.